Randolph Richards is dean and professor of biblical studies at Palm Beach Atlantic University, and Brandon J. O’Brien, a former student of Richards, is a part-time instructor of religion at College of Du Page and editor-at-large for Leadership journal. Together Mr. Richards and Mr. O’Brien have revealed where many Christians throughout time have mistakenly interpreted the words and actions within scripture through their cultural norms instead of the culture of the scriptural writer. As a result, those living in western societies are frequently blind to the cultural subtleties of those living in other cultures. Westerners may often miss the point of a biblical passage where the reader is expected to know something which would go without saying. For example: If I was to say, “I’m going out to eat.” It would go without saying, that I am going to go out to a restaurant. If I was in another culture or time, it would go without saying, that I was going to eat outside. Many times we assume that what we say will be understood because the reader or listener will understand what went without saying. “The core conviction that drives this book is that some of the habits that we readers from the West (the United States, Canada, and Western Europe) bring to the Bible can blind us to interpretations that the original audience and readers in other cultures see quite naturally” (p. 15). We are all culturally immersed in our way of life. Everything we do, say and think is effected by the cultural world around us. It is easy for us to forget that The Bible was not written to people within our culture. This book helps to show us that we can not simply read our world into the Biblical world. The word of God is true and perfect. It applies to everyone worldwide, but we must also remember to view God’s Word with an eye towards the culture and times of the writer. This is an excellent book which I highly recommend Christians to read. It will not overnight make you understand all the cultural differences within Scripture, but it is a good place to start. 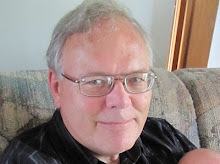 David Washburn is a follower of Jesus, a husband, a father, and a grandfather. He is an author of short stories and blogs occasionally. You can connect with David on Facebook and Twitter.